There aren't enough food, service, value or atmosphere ratings for Accent Cafe, Canada yet. Be one of the first to write a review! Les and Ava make beautiful chocolate gifts! Clean, friendly, warm, and inviting - European masterpieces in Penticton! This is simply the best chocolate we have ever had. Ownwrs, Eva and Les are true masters. The selection is tremendous. If you are searching for the finest hand crafted chocolate, possibly the finest in the world, then look no further. Bravo! This chocolate shop it to die for!!!! You can't buy just one, there are so many to chose from. All handmade by the Hungarian man and lady that own the shop. They are very friendly, funny, kind and generous! 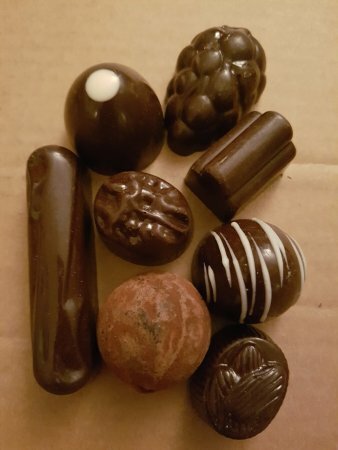 Best handmade chocolates you will ever have! Handmade mom and pop chocolate store. They use the best ingredients and real flavorings. You wont be disappointed with these chocolates. Enjoy a coffee or ice cream while you are there trying to decide which chocolates to choose! We stopped in and were warmly greeted by the proprietors. Excellent coffee, chocolates and pastries were enjoyed by us, and we visited multiple times. Wholeheartedly recommended. 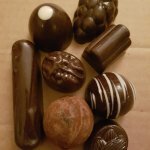 Excellent handmade chocolates! So delicious we had to go back for more on the same day. They also have ice cream that looked quite popular with the locals. Get quick answers from Accent Cafe staff and past visitors.